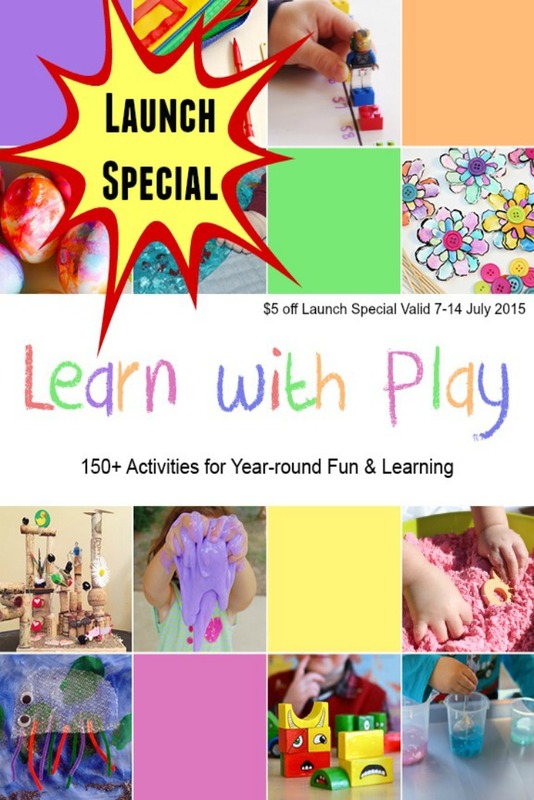 I am very excited to announce that my very first book has been published – Learn with Play: 150+ Activities for Year-round Fun & Learning (affiliate link). 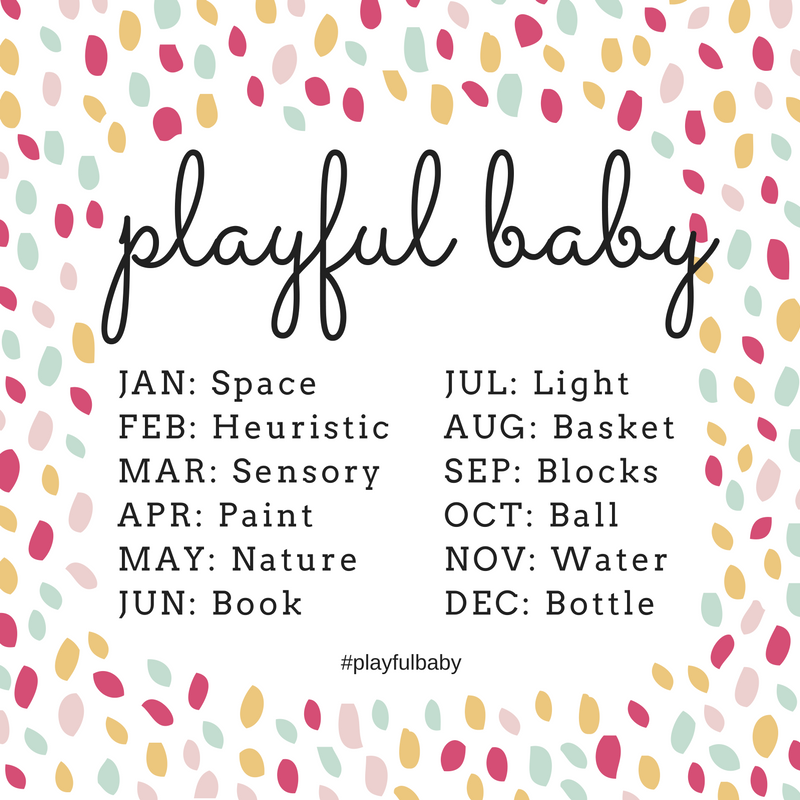 I'm so lucky to have been able to have teamed up with 93 amazing bloggers from around the world to bring you a this fantastic collection of play activities and crafts for kids of all ages to enjoy! I don’t know of another book that covers so much! The book is also categorised by age with appropriate play for babies, toddlers, preschoolers and kindergartners. 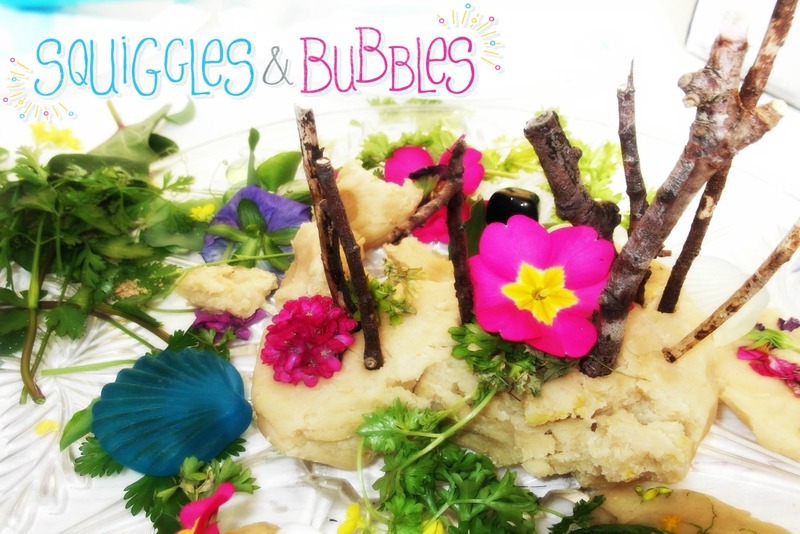 Our Squiggles and Bubbles' favourite Chamomile Playdough recipe is included along with another of our fantastic activities I've not blogged about. For one week only (until 14th July 2015) the eBook is available at the discounted price of $9.95 (usually $14.95). Hurry and download your copy today! 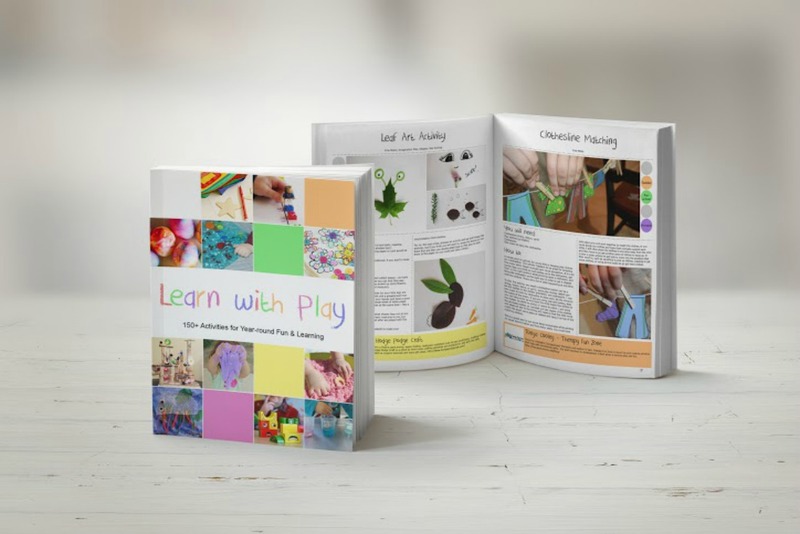 The Learn With Play eBook gives you even more activities as each contributor has included a couple of links to similar resources from their own blog. 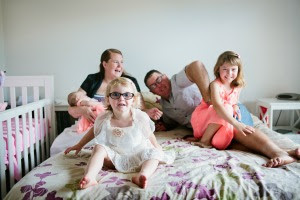 This means that for the reduced price of USD $9.95 you are getting around 500 play activity ideas. How amazing is that!